Selling physical products via a virtual store can be a very lucrative business but being able to stay organized and ship things on time is a requirement. Fortunately, there are several different WooCommerce shipping extensions available that can simplify many aspects involved with shipping physical items. Here are some of the most popular and their unique features. ShipStation is the number one choice for online sellers, so if you have never tried it, now is a great time. In fact, you can get it free for the first 30 days and discover just how much it can simplify shipping and recordkeeping. It automatically imports your orders, gives you the best possible rates from USPS, and allows you to customize everything your customers will see – your packing slips, shipping labels, and even the online ShipStation tracking page. From here, your customers can track their orders, find your social media accounts, and even view what is in the box. With APIs from the country’s biggest and most popular shipping services, you can improve your store drastically by giving your customers the information they want. These APIs link you directly to the shippers’ databases, so your customers can see shipping rates and expected delivery times without having to leave your site. All three shippers’ APIs include domestic and international rates, as well. 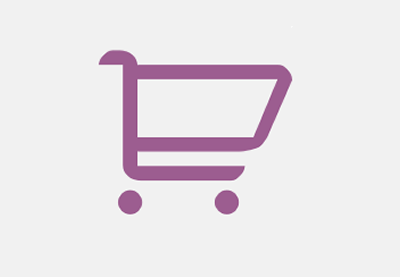 The WooCommerce shipping plugin offers several valuable tools in one easy-to-use download. With it, you can get live shipping rates directly from USPS and Canada Post and print your own shipping labels, too. This way, you never have to wait in line to mail out your parcels, and you can improve customer satisfaction significantly in this way. This is one of the most important and most helpful WooCommerce shipping extensions available today. It gives you 100% control over everything from the payment methods, shipping options, and shipping countries or states available to individual shoppers at checkout. You can use conditional logic to restrict these methods as needed, as well. For example, if you run a special for free shipping with a purchase of $49 or more, but you want to restrict this free shipping only to items under 40 pounds, you can use this extension to do it. This plugin also comes in handy when you need to comply with different countries’ custom import regulations. Advanced Notifications is a WooCommerce shipping plugin that helps you keep your staff and customers in the know regarding sales, notify your suppliers that your stock is dwindling, or even send an order to drop shippers. Just create a recipient, name that recipient, and then select notifications for that recipient based on different events. You may tell your customers, for example, that items are on backorder. You might tell your vendors that you are out of stock, on the other hand. This helps to automate parts of the process, saves you time, and allows you to provide better customers service. Many of today’s online retailers charge shipping rates based on each product. If you go this route, you should use a WooCommerce shipping plugin to give your customers access to the per-product shipping charges. In fact, you can even use this extension to define your own shipping costs based on the parameters you set and your customers’ locations. You can determine per-item shipping costs, costs per variation, costs based on the destination, import and export rates, and more. This WooCommerce shipping extension simplifies the processes of invoicing, picking, and packing by automating these lists. With it, you can print documents for orders directly from the Orders page in WooCommerce. Customers can view the invoices generated by this plugin when they visit the “My Account” section of WooCommerce, too. With these tools, you can speed up your fulfillment process by several days, which means you will satisfy your customers more quickly. If your customers are satisfied, they are far more likely to return to purchase more products or to recommend your store to their friends and family. Invoicing, picking, packing, and shipping can take quite a bit of time, and if the process hasn’t been simplified and partially automated, it takes even longer. These WooCommerce shipping extensions were all created to put more information at your fingertips, allowing you to fulfill orders more quickly and put smiles on your customers’ faces.